Lt. 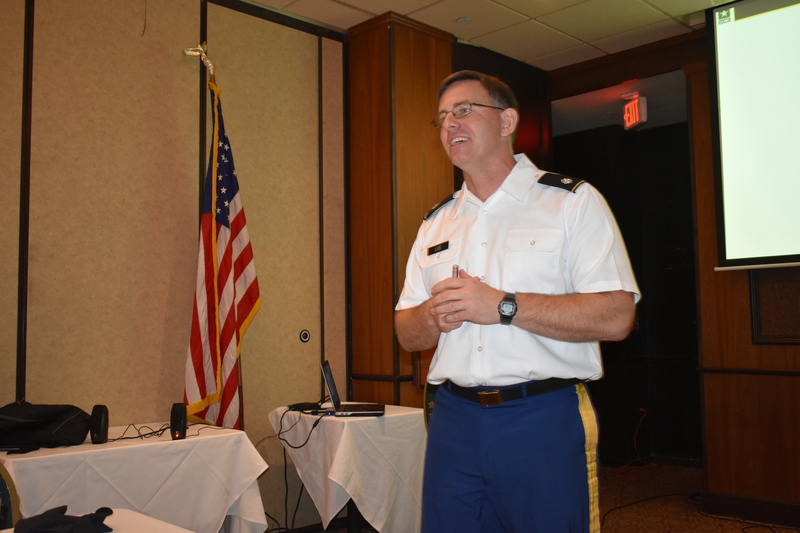 Colonel James K. “Jimmy” Lee, Jr., Professor of Military Science and Commander of the University of Texas (UTEP) Army ROTC’s “Fighting Miner Battalion” in El Paso, Texas, gave a special Power Point and Video presentation to the Daedalian Flight 24 at the El Paso Club in downtown El Paso, yesterday. Almost every member of Daedalian Flight 24 is also an active member of the FASF. 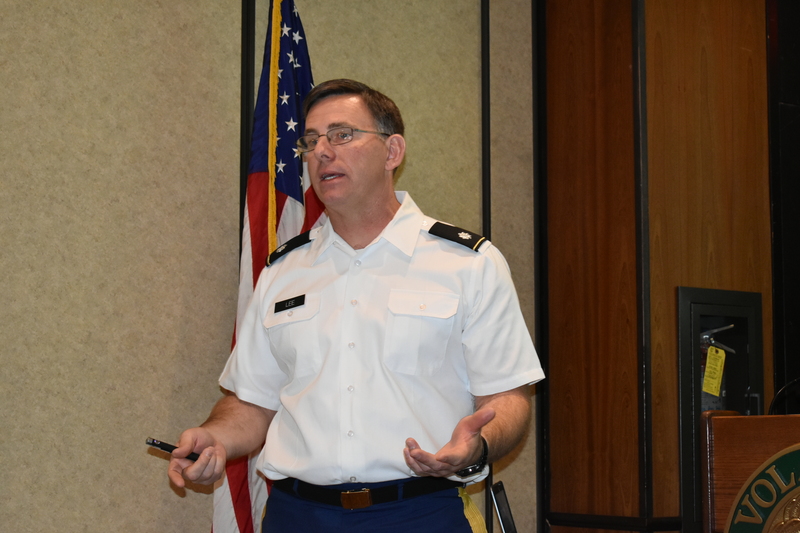 Colonel Lee gave an animated description of the current University ROTC program which he directs at UTEP. 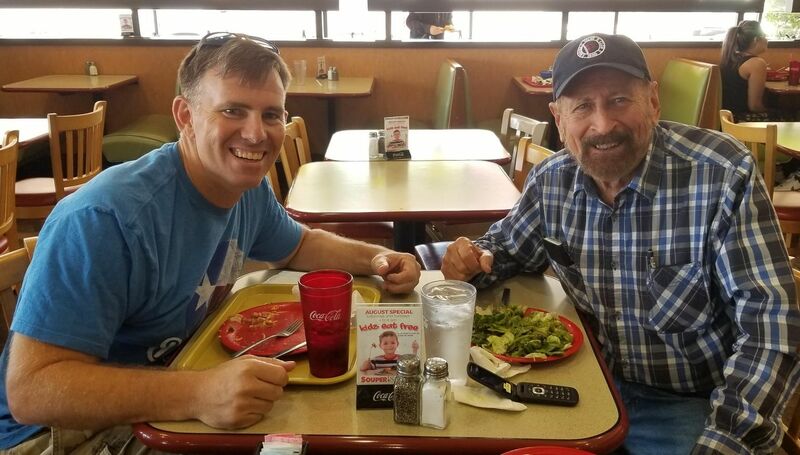 Jimmy, an Army Mustang and recipient of the coveted SILVER STAR medal for heroism in battle, has been one the FASF’s Trustees for the past three years. His background is here on the FASF Trustee Page of this site. Each semester at UTEP, Colonel Lee’s Battalian of Cadets conducts a “Staff Ride” over to visit and study the Army’s history, including that of the First Aero Squadron’s involvement in the “Punitive Expedition” back in 1916 and 1917, at Columbus, NM, the birthplace of American Air Power and rebirth place of American Civil Aviation. Remember to click on any of the following photos to see them in high definition. Colonel Lee opening his Power Point Presentation. 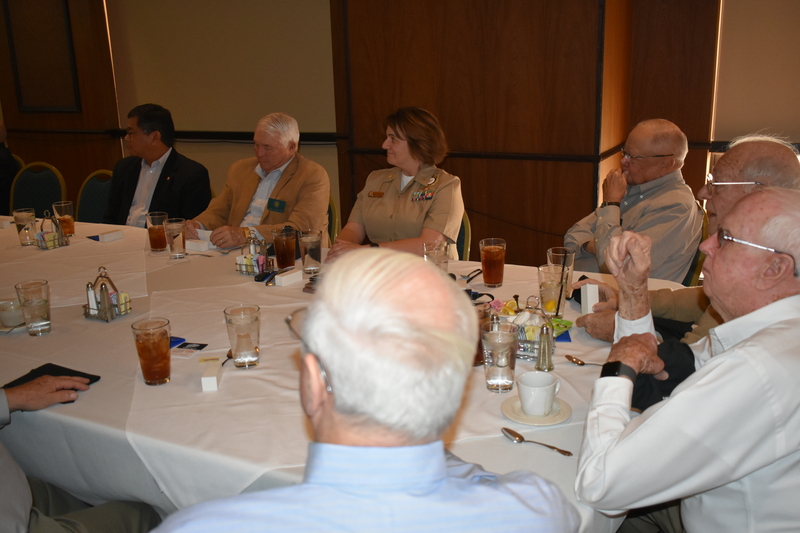 L to R: All taking in Jimmy’s talk, are: Mario Campos, Charlie Overstreet, Lt. Commander Cindy Sweeney, Roger Springstead, Norm Rice and Virg Hemphill. 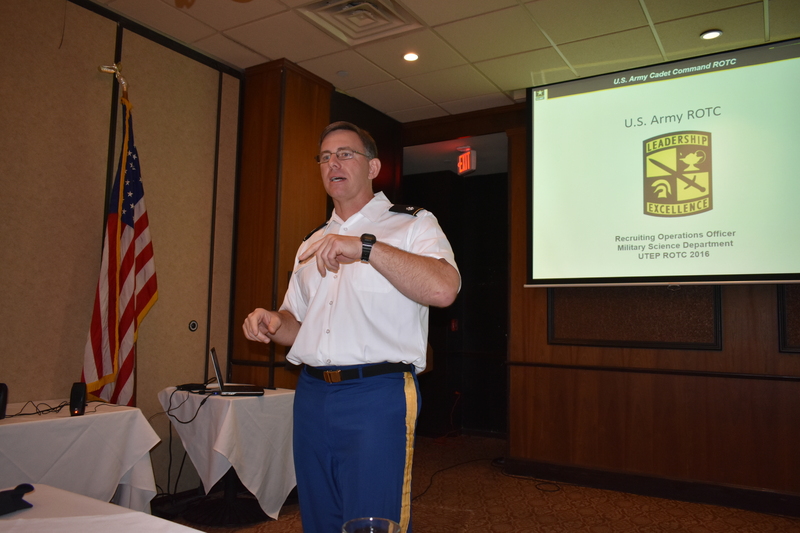 Jimmy describes the many and diverse opportunies for scholarships provided by the ROTC programs. 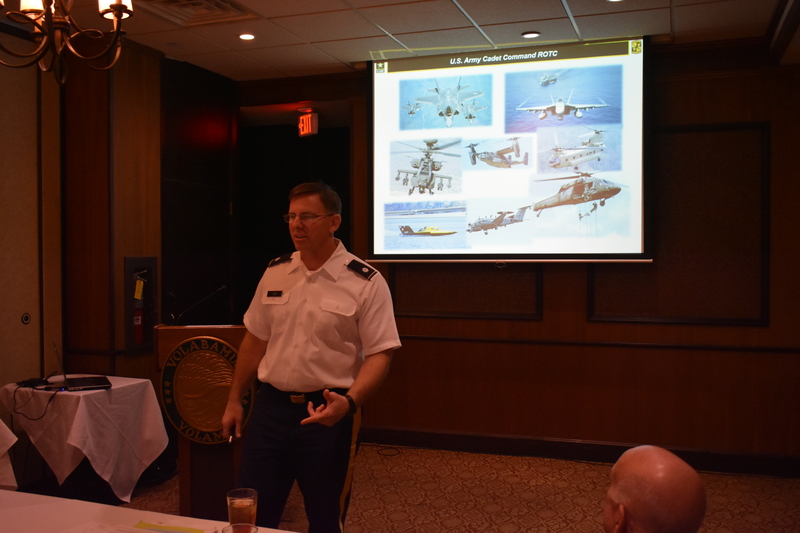 The Colonel shows some of examples of both Air and watercraft used by the U.S. Army in today’s combat. 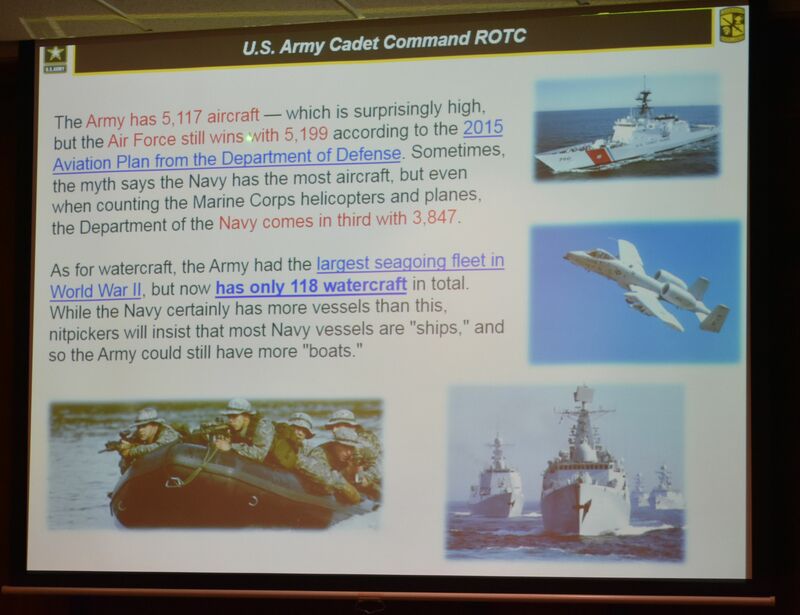 Slide Jimmy presented showing the surprising use of both aircraft and boats by today’s Army as related to those assets used by the other services. 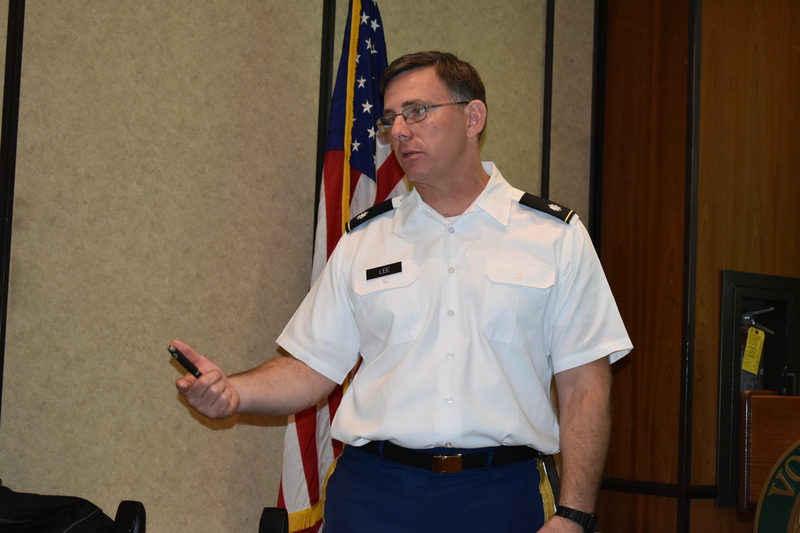 Jimmy fielding questions from the Daedalians about the previous Army Comparative Equipment Chart. 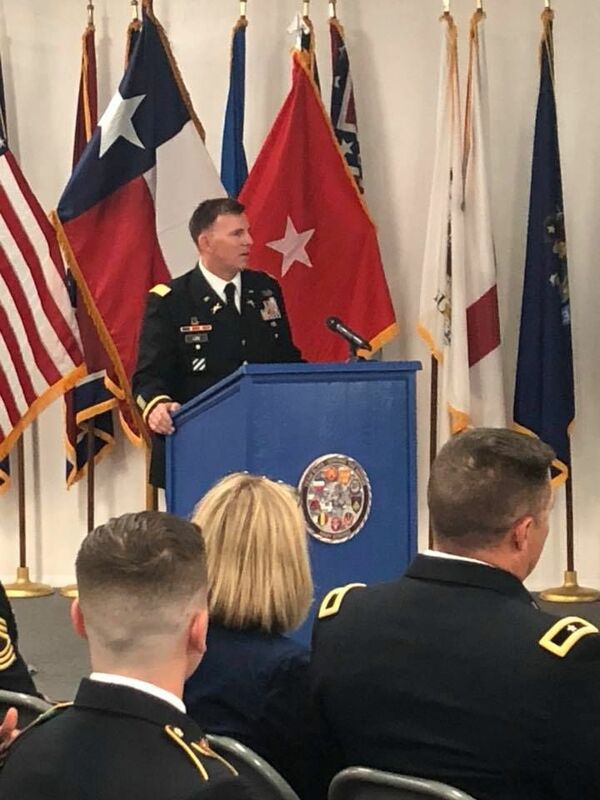 In answer to a question from Daedalian Colonel Pitt, Jimmy explained the battelfield circumstances that led to the award of his Silver Star medal in Iraq. 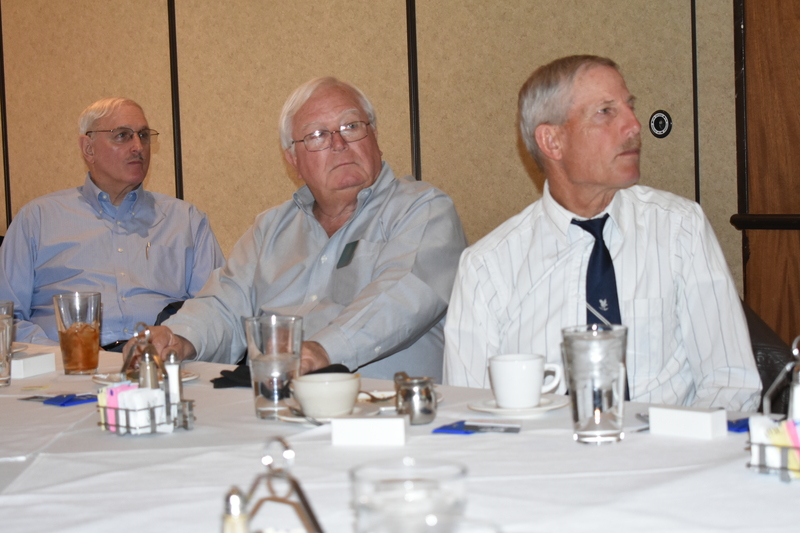 L to R: Listening to Jimmy’s presentation are: Larry Spradlin, Pete Brandon, and Alan Fisher. Jimmy fielding more questions from the Daedalians. 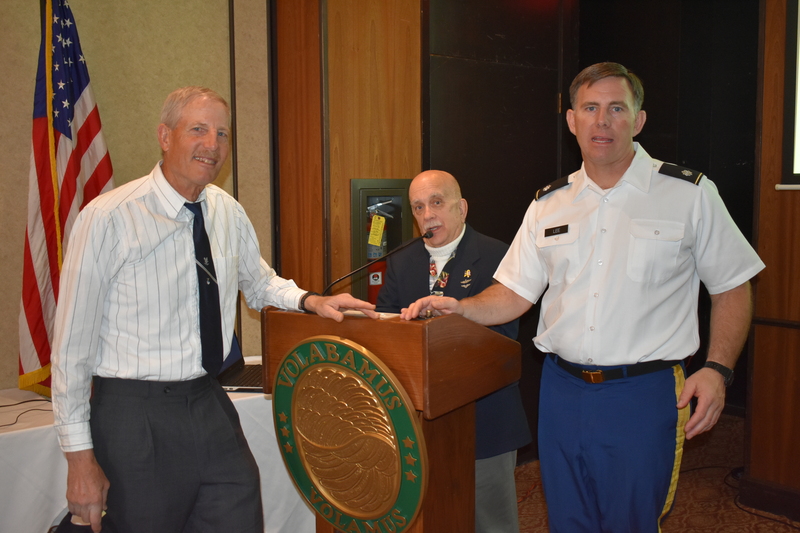 Retired USAF Colonel Alan Fisher, who once commanded the AFROTC unit at New Mexico State University, comparing notes after the presentation with Colonel Lee. 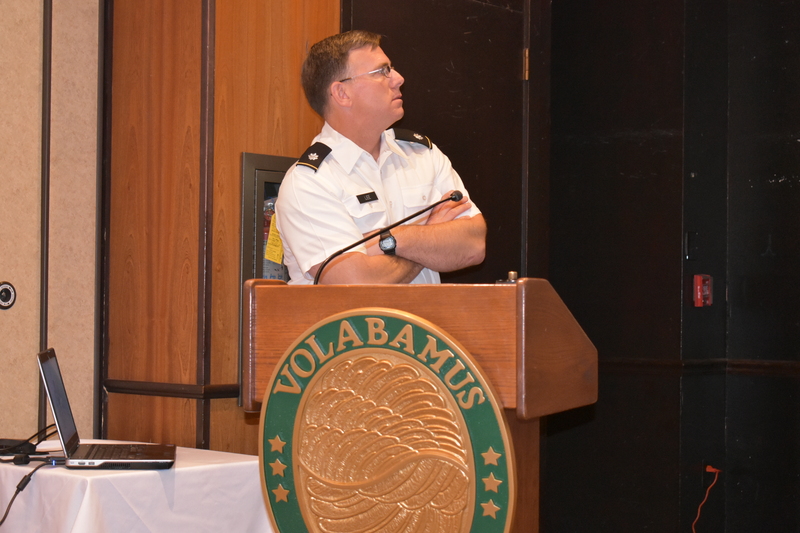 Daedalian Fight Captain, Roger Nichols a retired USAF Navigator and Pilot is behind the podium between the two experienced ROTC commanders. 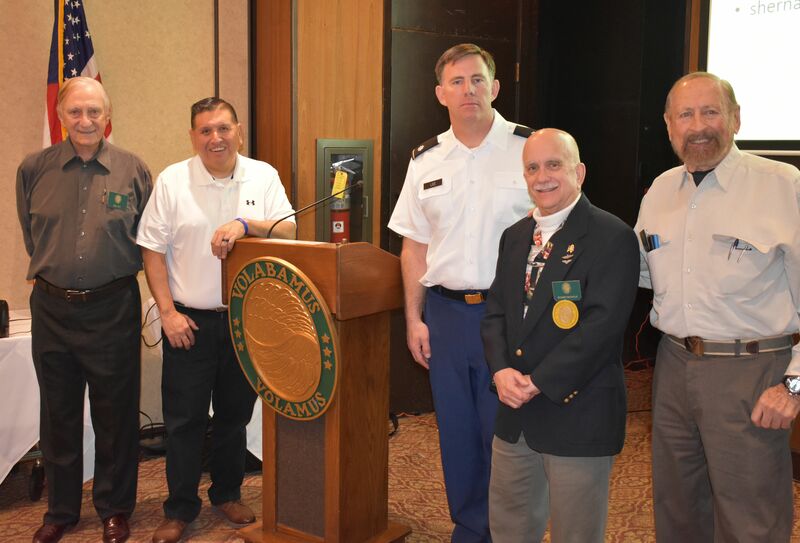 L to R: Posing after the event are: Colonel Bob Pitt, Simon Hernandez (Assistant to Colonel Lee, and the UTEP ROTC Recruiting and Scholarship Chief), Jimmy Lee, Roger Nichols and Ric Lambart. Group photo courtesy of Daedalian and 1st Aero member, Roger Springstead. All above but Mr. Hernandez are active FASF members. This entry was posted in HOT NEWS! 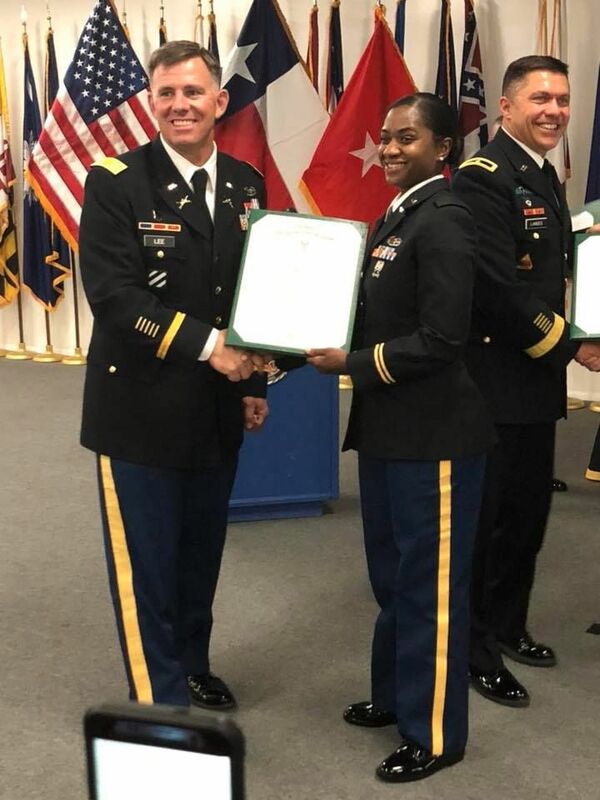 and tagged ARMY ROTC, Birthplace of American Air Power, College Scholarships, Colonel Jimmy Lee, Daedalians, El Paso, El Paso Club, Jimmy Lee, LC James K "Jimmy" Lee, Lt. Col. Jimmy Lee, NMSU, Order of Daedalians, Pilots, Rebirth Place of American Civil Aviation, ROTC, Silver Star Medal, TX, U.S. Army, University of Texas El Paso (UTEP), US Army on March 8, 2018 by FASFRIC.